Grow your sales Internationally now by selling via eBay US & eBay Australia! You can now easily Sync Products, Inventory and Orders with eBay from Your webShaper Store and bring in extra revenue! Why expand your business to eBay USA and Australia? Do you know that the de minimis value of selling to US is $800 while Australia is AUD $1000? It means that if your per parcel shipment falls below the value, no formal customs procedures and no duties or taxes are collected. On top of that, eBay totaled 167 million shoppers and $84 billion in sales at the end of 2016. Our industry-first integration with eBay enables you to increase sales by selling directly to that massive customer base, right from your webShaper control panel. Until now, selling on eBay has required manually updating products and inventory, or using expensive and sometimes complicated multi-channel software. webShaper eBay integration allows you to connect your webShaper store with eBay and push your products with just a few clicks from the webShaper Marketplaces Channel. Streamline your business by automatically syncing stock levels and eBay orders to your webStore, with no need for manual updates. 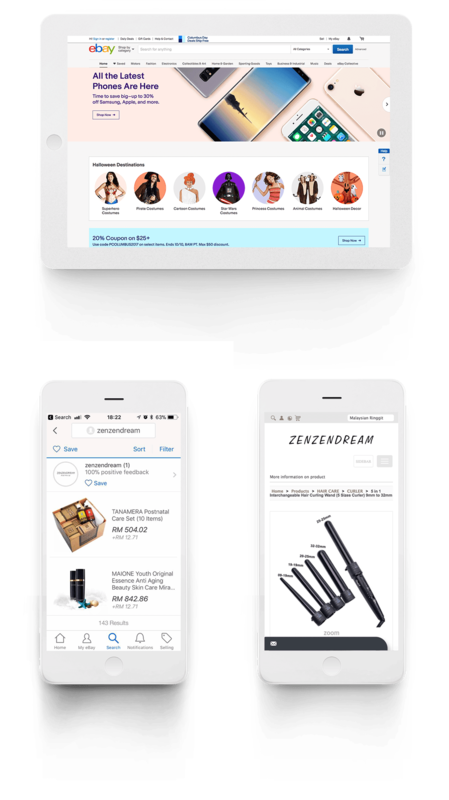 Quickly push products and options from your webShaper webStore, and they’ll be automatically updated whenever you make a change. Everything is managed from webShaper control panel just like your website orders, saving you tremendous amount of time and money. You can set the exchange rate that will convert the prices from RM to USD or AUD during the products push to eBay. Do you want to sell at eBay on a lower price, or apply a discount? Price changer enable you to set your prices to make your offer more attractive. Grow your business via eBay as a new sales channel. In addition, you can connect your webShaper store to 11street, Lazada, Lelong and Shopee. Malaysia DFTZ (Digital Free Trade Zone) will be the catalyst to enable more and more SME with the right products to expand their business via cross border selling (Export). webShaper has partnered with eBay and DHL to empower SMEs, Manufacturers and Brand Owners to tap into this tremendous export opportunity in years to come. Then webShaper is the perfect platform to power your online store! You can sell to ebay and your own branded store at the same time! Select the payment methods you’ll accept. 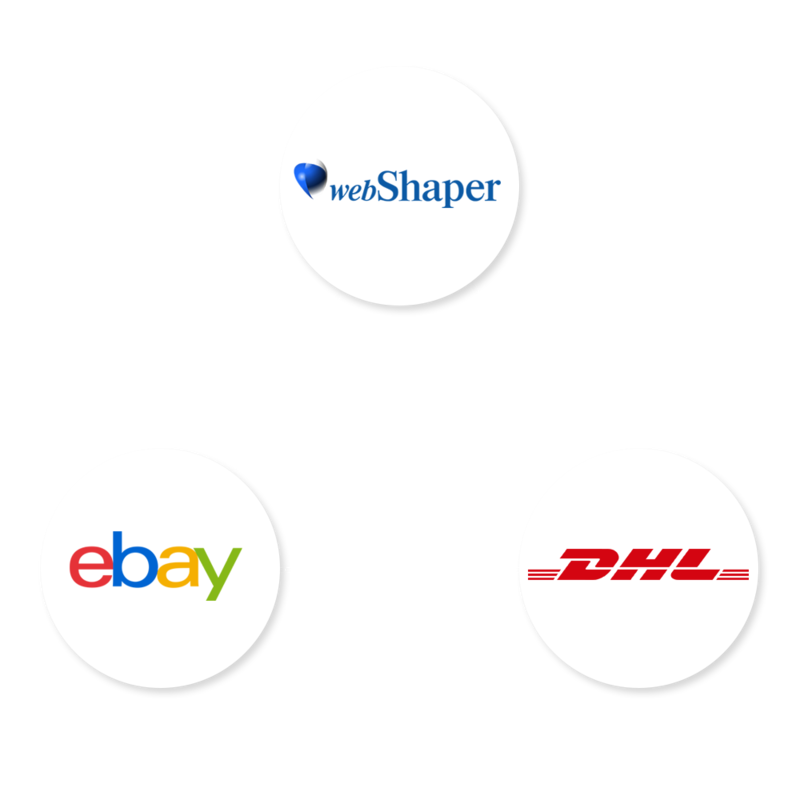 How webShaper eBay Sync works? eBay is one of the world’s Top online marketplace; a place for buyers and sellers to come together and buy or sell almost anything! 4 steps to getting rich quick with eBay! Build your own branded, SEO Friendly, Beautiful eCommerce store with webShaper bizStore that supports eBay Sync.